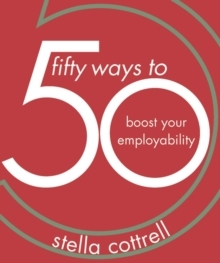 Each of the fifty `Ways' in this book is a starting point, offering suggestions of things to do and think about, alongside opportunities to reflect on, choose and commit to new ideas and actions. It will help students to identify potential opportunities, cultivate the skills that today's employers want, develop 'work-readiness' and make the most of internships and placements. Throughout, students will be encouraged to take action that will put them in a strong position when applying for jobs. This is an ideal resource for students of all levels looking for techniques and tips to help them improve their career prospects.